Since 1950, WIREMAID® has designed and manufactured wire products for commerce and industry. 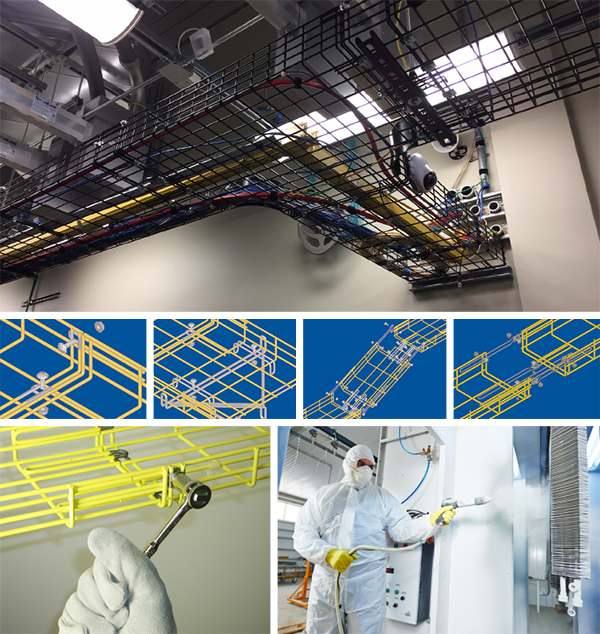 WIREMAID is the leader in the design and manufacture of wire mesh cable trays branded CABLE-MGR® as well as safety guards for lighting fixtures, fans, and equipment. Our products are manufactured in the USA using eco-friendly recyclable materials. WIREMAID’s product line is designed for ease of installation, safety and value. Dedicated to service and excellence in workmanship, WIREMAID continually strives to be at the vanguard of its industry.